It’s made out of two pieces of poster board. 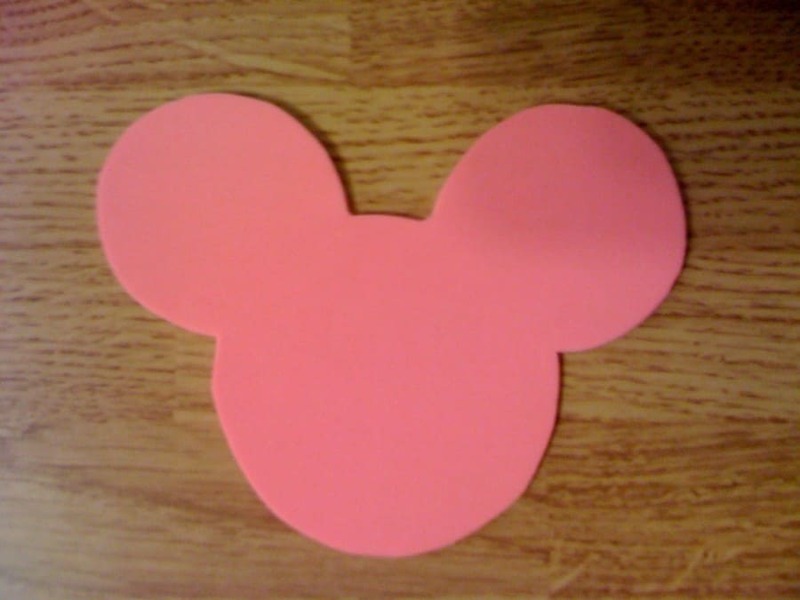 One is the blue background the other is shaped as Mickey Mouse. 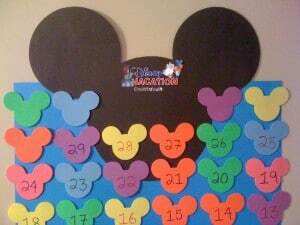 The smaller multi-coloured Mickey Mouse heads are made from Foam Sheets. 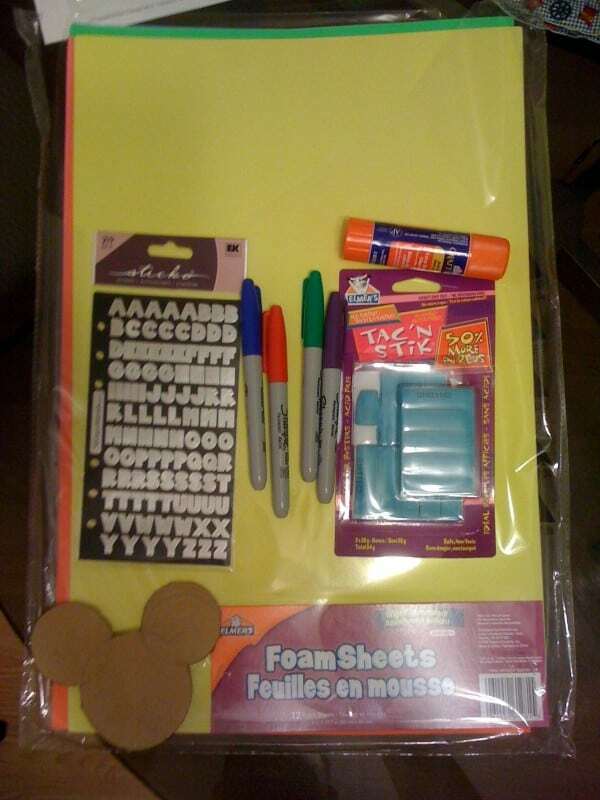 The outline for the Mickey Mouse head was made on cardboard and I outlined it on the Foam Sheets. That took a lot of cutting. Then I used coloured sharpies to put the numbers on the small heads. They are put on the blue board with sticky tack. 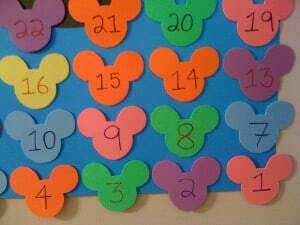 Small Mickey used for countdown numbers. 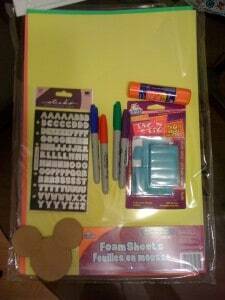 Cut out of Foam Board. Small Mickey Heads used with the numbers. Number were written with coloured Sharpies. The idea is a countdown to my Disney Vacation. 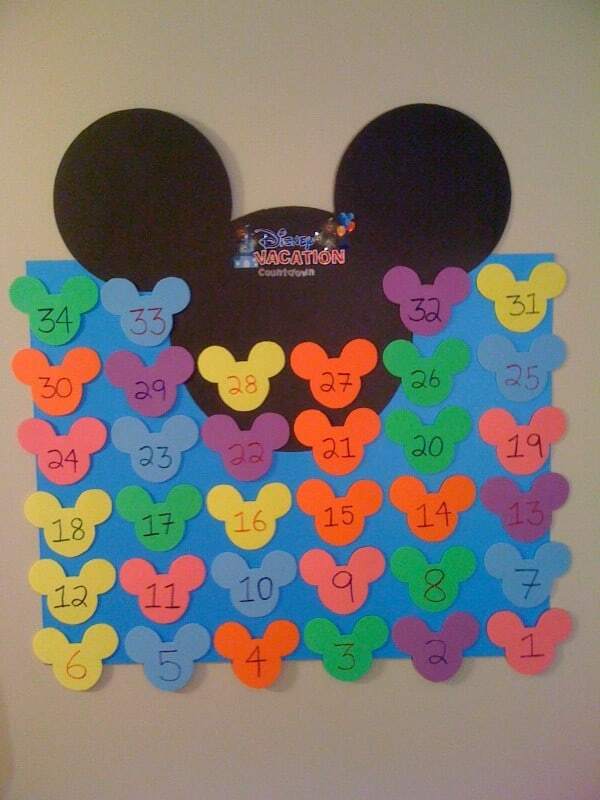 After each day has passed you flip the number around and the backside is blank. 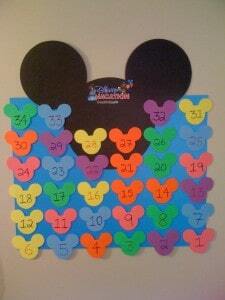 Which allows you to keep track how many days there are until you leave for the Magic Kingdom. Here is what it looks like with some of the Mickey Mouse heads flipped around. What the calendar looks like when you begin flipping the number around. It took me about 4-5 hours to complete the whole thing. 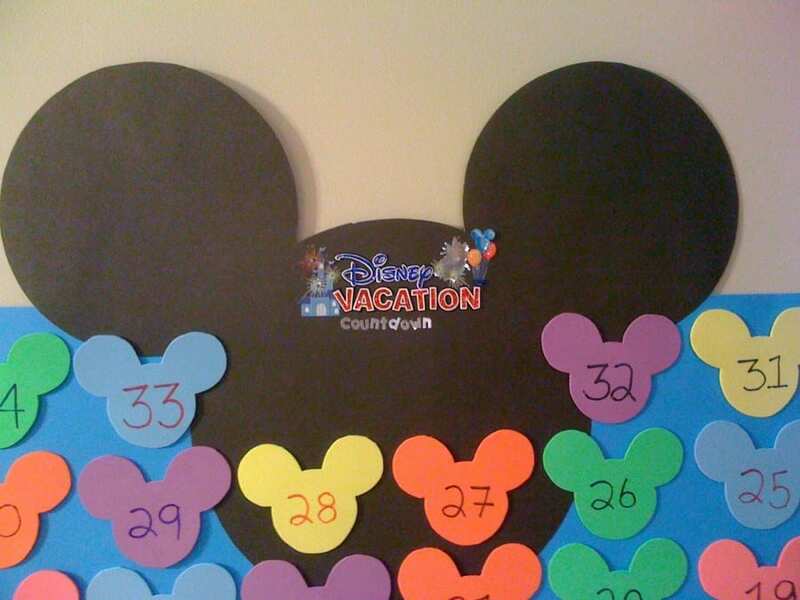 Cutting out the small Mickey heads is what took the longest. Also perfecting the outline of the head took a fair bit of tweaking before I got it to where I liked it. This small project was a ton of fun and has definitely got me excited! The great thing about this? I can reuse it for my next visit! Or give it to a friend or family member that is going next. Now I leave you with a song that everyone should know. Enjoy. All we need to do now is print out the word Japan for our Japan trip in June!